An invader from Osaka, the Kamukura chain operates five locations in the Tokyo area. 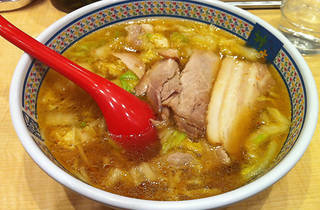 This one, found smack in the middle of Kabukicho, serves the confidently named Oishii Ramen ('delicious ramen'): perfected through the time-honoured process of trial and error, the concoction actually does live up to its moniker. 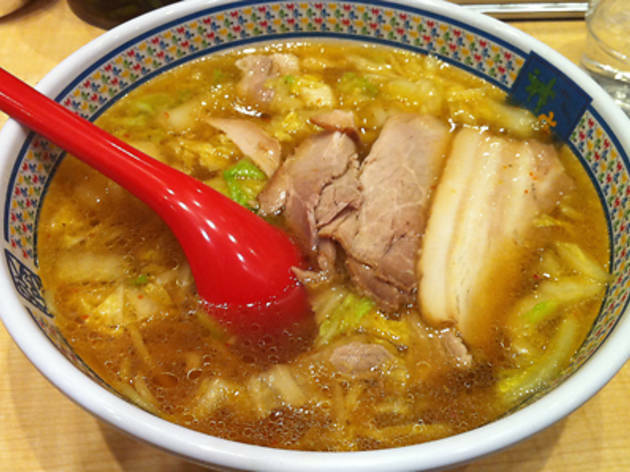 The owner, a former hotel chef, oversees the production of Kamukura's lightly sweet, soy sauce-based soup, which completes the medium-thick noodles and toppings like Chinese cabbage and tender pork. First-timers will want to enjoy the dish as it is, while veterans may prefer to experiment by adding some raw garlic. This one gets addictive real fast, and the shop's all day, every day opening hours add to the temptation.